The Toronto Raptors’ president Masai Ujiri has rolled the dice, trading his superstar DeMar DeRozan and the talented big man Jakob Poeltl in a blockbuster move to the San Antonio Spurs in exchange for Kawhi Leonard and the veteran combo guard Danny Green. While DeRozan has three more years on his hefty $83 million contract, Kawhi Leonard, on the other side, will become a free agent next summer, and all reports have indicated that he wants to move back to his hometown Los Angeles. Even though his wishes have not come true, the mystery called “Kawhi” is still not over, as some reports indicate that he is not happy with the deal and that he doesn’t want to be a Raptor even for a year. Ujiri is certainly well aware of Kawhi’s desire to play for the Lakers, but he decided to take the risk and make a wager, hoping that the Claw could be the missing piece in the Raptors’ puzzle after a painful Semi-Finals exit from the last year’s playoff. His team ended the regular season on top of the Eastern Conference, beating the franchise record with 59 wins, so the fans were hoping of seeing their beloved team reaching the NBA Finals, for the first time in the teams’ history. Obviously, Ujiri wanted to make some changes, replacing head Coach Dwane Casey with Nick Nurse, then breaking the DeMar DeRozan and Kyle Lowry’s bromance, and now by taking a risky move with Leonard. If he manages to convince Kawhi to sign the five-year extension, Ujiri could become the Raptors hero, considering the Claw is still one of the best players in the league, the only top-five player in the league out in the East. We’ll know what’s on Kawhi Leonard’s mind very soon, and if he declines to stick with the Raptors, another trade is always an option. According to the Delaware Park Sportsbook, the Los Angeles Lakers were +500 favorites to make a deal with the Spurs, but they didn’t want to break up their young, talented core around LeBron, refusing to send Kyle Kuzma and Brandon Ingram in exchange for Kawhi. However, the NBA market is very unpredictable and maybe the Lakers will change their mind and decide to listen to any offers in order to get the two-time NBA Defensive Player of the Year. On the other side, it could get very interesting if he decides to give it a try with the Toronto Raptors, as the Eastern Conference desperately needs a new king after LeBron’s departure. He will be highly motivated to prove he’s still the same player that won the NBA Finals MVP back in 2014, as he missed all but nine games last season averaging 16.2 points, 4.7 rebounds, and 2.3 assists. During the 2016-17 NBA season, Kawhi was exceptional, averaging 25.5 points, 5.8 rebounds, and 3.5 assists per game, shooting 48.5% from the field, and 38.0% from downtown. 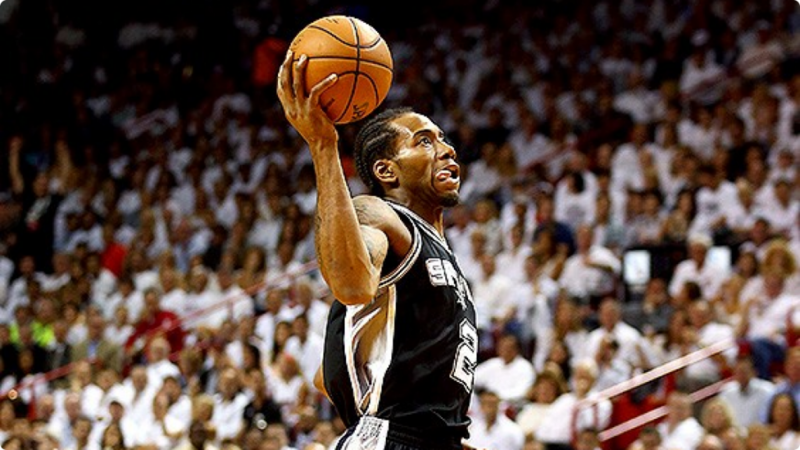 Rarely who still doubts his fitness, so the key factor is Kawhi’s attitude. As far as the Spurs are concerned, they have received a very unhappy DeMar DeRozan who’s stated his huge disappointment with the Raptors’ decision to trade him to Texas. DeRozan has become the Raptors’ icon in the previous years, but know he will have to move his talents to San Antonio and prove his worth among all the top stars out in the West. In nine years with Toronto, DeRozan averaged 19.7 points, 4.1 rebounds, and 3.1 assists, setting the franchise record for the most points scored (12,800) and the most games played (675). Still, DeMar could be a quiet winner of this trade, as he’s getting an opportunity to play for one of the most successful franchises in the league, coached by, arguably, the best head coach alive – Gregg Popovich. DeRozan significantly improved his playmaking skills over the last couple of years, and working with Pop should only improve him as a player. The San Antonio Spurs have a determined system, and they wouldn’t trade for DeMar DeRozan if Pop wasn’t sure he’ll get a superstar that would instantly fit in. DeRozan is considered as a good guy with strong work ethics, so in the end, both sides should be happy. Likewise, DeRozan will certainly have a lot to prove after this degrading move by the Raptors, and it seems like there’s no better place than Gregg Popovich’s Spurs. In the end, there’s no true loser here, at least not from this point of view. Maybe the LA Lakers are, but Magic Johnson will get what he wants if Kawhi stays headstrong, sooner or later. Kawhi Leonard will, most likely, opt-out of his contract and become a free agent next summer, but let’s be happy that the saga has reached its long-anticipated conclusion, for now, at least.